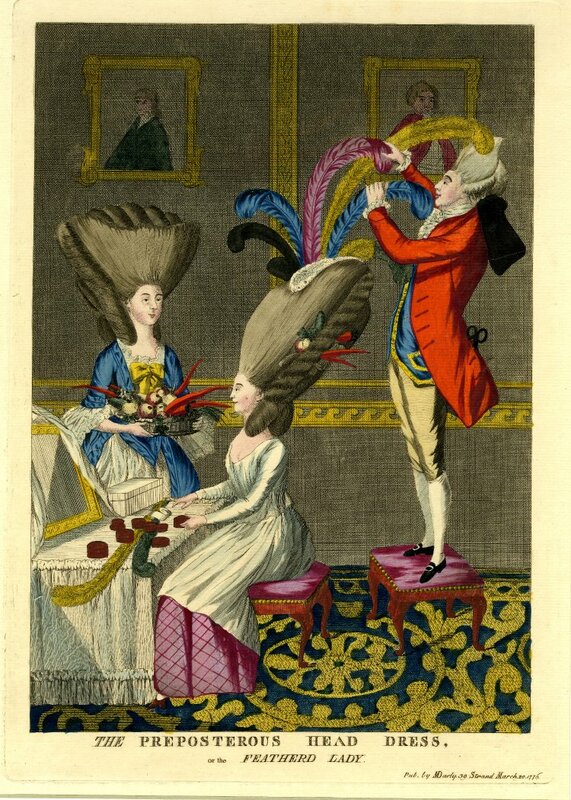 Georgian fashion dictated that women wore ‘big dresses’ accompanied by the even bigger hair so with all that fabric and ‘high hair’ fashion it should come as no surprise that accidents happened. With that in mind, we thought we would take a peek at the fires caused by the fashions of the day. We had no idea that there were so many incidents reported in the newspapers about hair and fabric being set alight by the open fires and so many deaths resulting from these incidents, so here are just a few. Edinburgh, Sept 25. We hear from Dundee, that a few days ago, as a young lady was writing, the candle set her head-dress on fire. It burnt some time before she was aware; the then wrapped a handkerchief round her head to smother the flame, but it also catched fire; it was, however, extinguished with having scorched the lady much; but the fright affected her so much that she died in two days. Her name was Wedderburn*, an amiable young lady and her death is deeply regretted. Last week a very melancholy accident happened to Miss Vane, daughter of the Hon. Mr Vane of Bielby , in Yorkshire; being sitting by her fire she dropped her keys within the fender and, stooping to take them up her head-dress took fire, and she was burnt so dreadfully before it could be extinguished, that she expired in a few hours. Lady Elizabeth Pratt is out of danger from her late unfortunate accident, which very deeply affected the venerable Earl, her father. 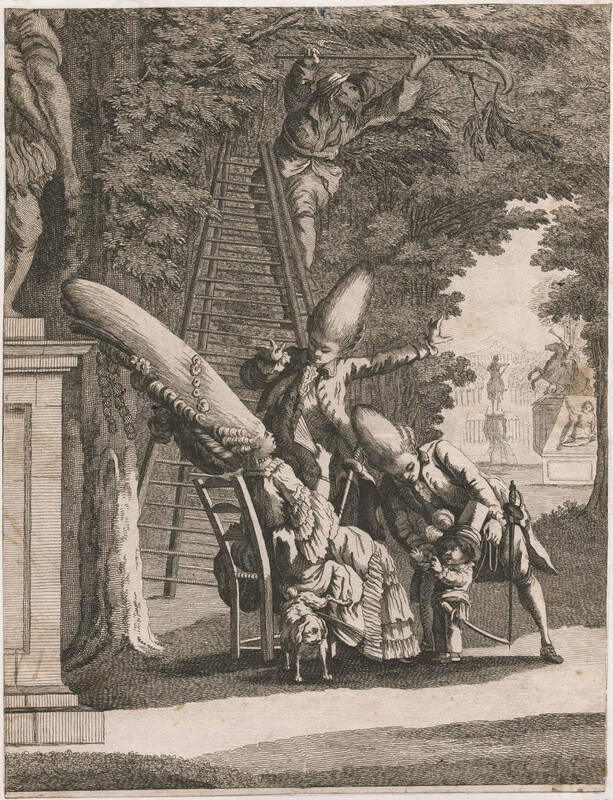 Her Ladyship had her head scorched by her head-dress catching fire while she was reading. An evening paper has the following whimsical article: amongst the many accidents which happened on Sunday evening last from the lightning, the following, however extraordinary, may be relied on as a fact. About half past nine, just as the thunderstorm began, three ladies took shelter under one of the trees in St James’s Park : One of their heads was erected to an enormous height, and consequently stuck full of long wire pins : unfortunately these acted as conductors, and set her head-dress on fire, by attracting the lighting. Her two companions screamed with horror, but so stupefied with fear and astonishment were all parties that not one had presence of mind to remove her from the shelter of the tree into the rain. In spite of every efforts made by those distressed ladies, the fire raged with great violence for above ten minutes, destroying in that time above eight yards of gauze, a small quantity of hair and a prodigious load of wool, powder and pomade. At last two young fellows, supposed by their being furnished with syringes, to be apothecary’s apprentices, seeing the fire from an adjacent tree, and apprehending it might set the whole park ablaze, sallied forth to the poor lady’s assistance, and levelling their syringes with infinite adroitness and success both before and behind in a little time happily extinguished it. As soon as the storm abated, she was bought to a house in Spring Gardens, where our correspondent saw her. All her hair was burnt down to a black crumbling stubble and her face was singed with the flopping of the flames over it, that she cut a most shocking figure. It being intimated that she lived in Threadneedle Street, a coach was called, and she was conveyed home to her family. The writer of this article cannot dismiss it without earnestly requesting his fair countrymen would drop, at least for this summer, so dangerous a fashion as high heads. A beautiful young lady, in a neighbouring city, was lately rescued from the most imminent danger of being burned to death. As the method of her preservation from this dreadfully calamitous situation might be successfully adopted in like cases, a minute detail of all the circumstances ought to be generally known. 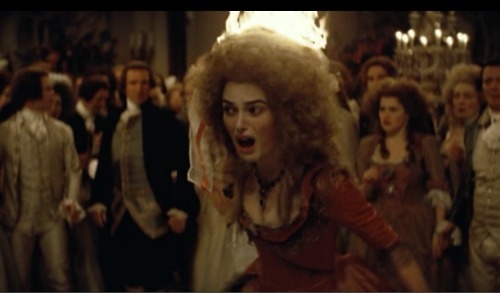 Her muslin dress, being touched by a candle; caught fire, and the flame instantly blazed above her head. Fortunately two of her sisters were in her chamber. 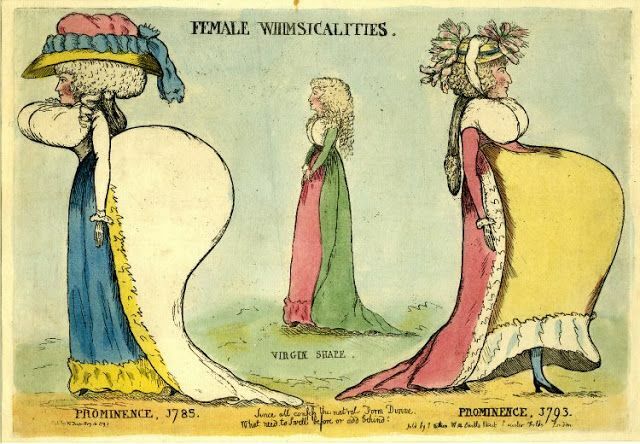 One sister with a long and strong pair of scissors, blunt at both points, with great expedition and steady resolution, cut through all her clothes on the hind part of her neck all down her back; that is, through her gown, her stays in the space between two whalebones, her shift, and the bindings of her petticoats. As one sister was thus employed, the other slit up the gown at the wrists; and then immediately, with a pair of tongs from the fender, took firm hold of the clothes on fire, upon the fore part of the neck, and pulled them forcibly forward and downward from the shoulders; when all the garments instantly dropped off upon the floor, and were thrown into the chimney in a blaze. The time between the commencement of the fire, and till the young lady was rescued from all danger, was less than two minutes. The flame, had scorched her face and neck, so as to be very painful for some hours; but not even a blister had arisen. A delay of but a few minutes longer, would have occasioned incurable mischief; either death or deformity must have been the inevitable consequence. It may be proper to explain how these measures of prevention were so promptly and successfully executed. All the sisters had previously received complete instructions from their parents in what method to proceed in such a dreadful emergency, if their muslin dress should catch fire. They had frequently consulted together how to act in the moment of alarming danger. Each of them had provided a proper pair of scissors for the purpose. It is impossible to describe the exact of joy, which the sisters and the parents expressed upon this happy occasion. They united in fervent thanksgivings to Providence for this wonderful deliverance from so dreadful a calamity. But, it wasn’t just women’s hair that caught fire, as we see here. To end on a slightly cheeky note, this young woman must have heard about the perils of setting your clothes alight and wasn’t prepared to take any chances! * It appears highly likely that Miss Wedderburn was Miss Susanna Wedderburn, the daughter of Sir John Wedderburn of Blackness, a Perthshire gentleman who joined the 1745 rebellion of Charles Edward Stuart and, captured at the Battle of Culloden, was afterwards hanged as a traitor; there is a burial date of the 18th September 1776 in Dundee for a Susanna Wedderburn.